Beyond a visual representation, a website must tell the business’s story—what makes them different from every competitor. Speed of Like worked with Gorin Law Group to create a brand that reflects their professionalism and appeals to their clientele. Gorin Law Group is a boutique law firm serving individuals and businesses in the greater Los Angeles and San Fernando Valley areas for over 10 years. Centrally located on Sunset Boulevard in Hollywood, Gorin Law Group is an experienced team of legal professionals. Whether you are filing a claim with an insurance company or negotiating an agreement, their thorough and aggressive representation will ensure that your matter receives the best possible outcome. Gorin Law Group requested a new logo to represent the practice. Speed of Like presented multiple logo concepts, working with Gorin Law Group to create and refine their new logo. A clean, and clear font was used with Ilona Gorin’s name in a larger font to reflect her role in the firm. An online brand is not complete without a consistent social media presence. Speed of Like developed square logos for social media channels that can also work in a circle for sites like Twitter. 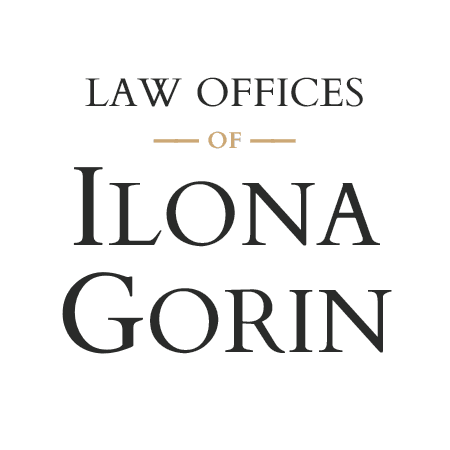 Speed of Like worked with Ilona Gorin to create a visually clean, professional, and sophisticated template, that looked good without upstaging the content on Gorin Law Group’s site or the quality of service that they provide. Text on every page of the site was tailored to the needs and interests of Gorin Law Group’s target audiences, with SEO and readability in mind. 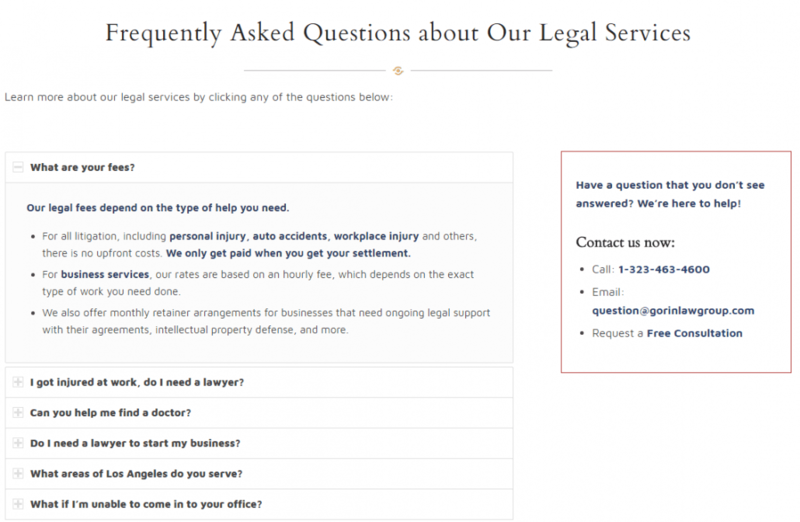 A button at the top of every page which opens a modal Consultation Request Form, allowing prospective clients an easy way to connect with Gorin Law Group. Calls to action were placed throughout the site to encourage prospective clients to connect with Gorin Law Group. Gorin Law Group’s practice has been serving individuals and businesses in the greater Los Angeles and San Fernando Valley areas for over 10 years. We conducted a photo shoot of the staff and of the office for both the website and for Gorin Law Group’s social media platforms. “Speed of Like was very professional in their approach to learning about the business and translating that into a sleek, well thought out website. I am very happy with the design and the services that they have provided me. I am thrilled with the work that Speed of Like did for us and I will be using them again in the future.